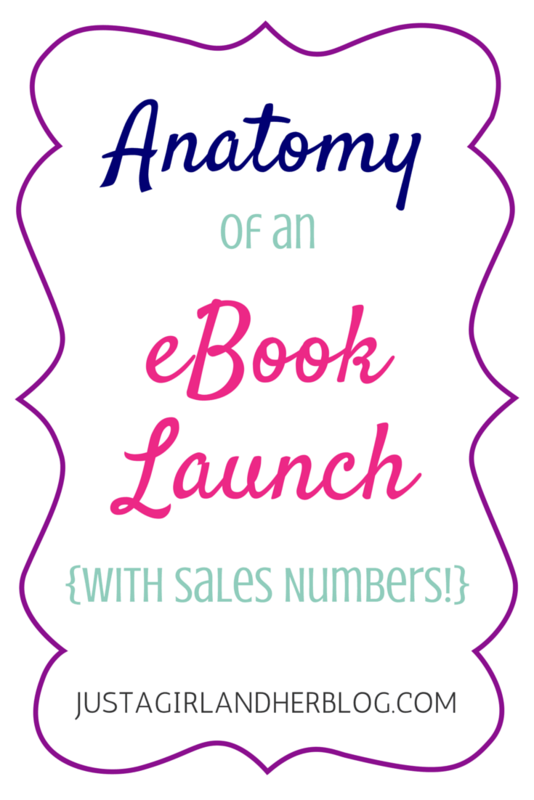 Anatomy of an eBook Launch - With Sales Numbers! I know you’re going to do it anyway so feel free to scroll to the bottom to look at the sales numbers for Abby’s eBook launch. 😉 After you’re done make sure you come back up to the top and read about how we did it! Shortly after the new year when Abby asked me to help with the “business” side of her blog, we sat down and brainstormed all the ways we could maximize the blog’s profitability. So far we haven’t found just one means of revenue that was the equivalent of a full income, so we thought it would helpful to come up with a list of multiple revenue streams. Early in 2014 Abby was already writing sponsored posts and we were doing ok with AdSense. The logical next step in my mind was creating our own product and selling that directly to her audience. Abby has an advantage: she is an amazing writer! I knew an eBook would be a perfect fit for her skill set. 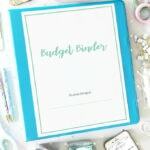 She came up with the idea of writing about everything she learned her first year of blogging– she grew an audience and saw some income faster than most, so it made sense for her to share her story. 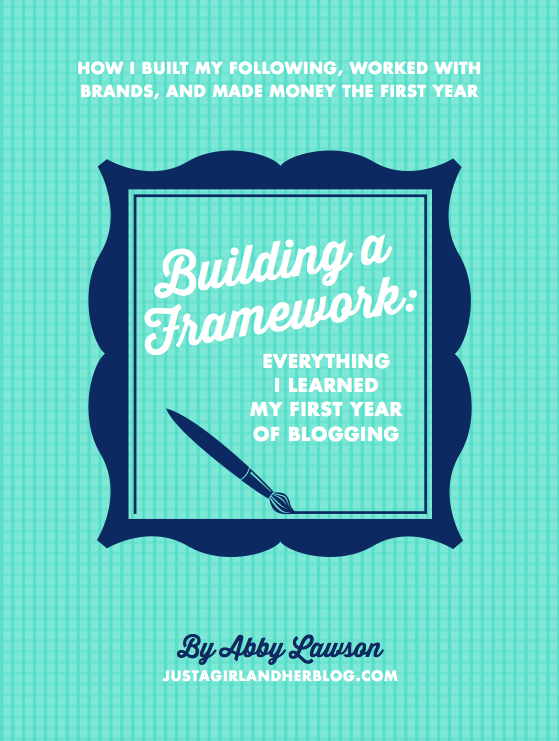 The book would take the reader through Abby’s first year of blogging as she shared everything she learned that made her successful. At first Abby was nervous about presenting herself as an expert on blogging. She felt like she didn’t know enough. I reminded her about all the people that constantly email her about blogging questions and the strategies she uses. I also reminded her that she doesn’t have to be the world’s leading expert on a subject to write about it. Something I’ve learned from the courses I’ve taken in Fizzle is that you don’t have to be THE expert. You just have to know more than some people. In writing the book Abby would act like the “leading learner.” She would be teaching people who are one or two steps behind her in the process. Write to Your Audience? Or Not. One of the initial challenges we had to overcome was deciding that Abby was ok with writing on a subject that not all of her readers would be interested in. 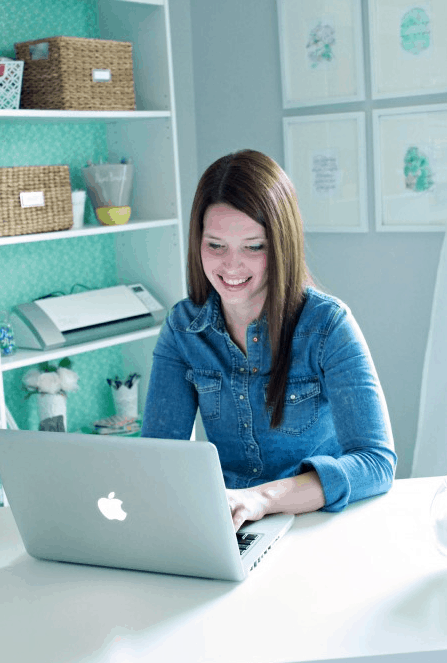 Abby writes a home decor/craft/DIY blog, so not all of her readers are interested in blogging. Normally, you want to write and sell something that benefits your readers. We knew this book would benefit many but not all. The clincher was the number of questions and emails about blogging she was constantly bombarded with. 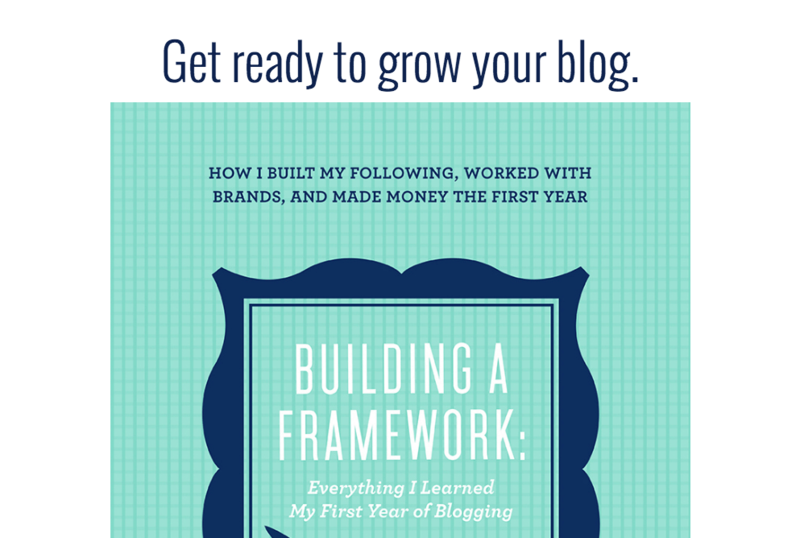 A book about blogging wouldn’t be perfect for her entire audience, but it would definitely beneficial for many. It wasn’t until March that we definitely decided to move forward with this project. Realizing how much work we (mainly Abby!) had, the first thing we did was set a launch date. To be honest I don’t think this eBook would’ve ever happened if we didn’t set this date. We wanted to give ourselves plenty of time, so we set the launch date for June 10th which just happened to be Abby’s birthday. Three and half months in the future sounded like a ridiculous amount of time, but I will say this: we we’re thankful for all of that time! I had nothing to do with this part. Well I guess I had a little to do with it. My job was to encourage Abby when she felt like she had nothing to say and to give her positive feedback as she had me review the work. I also used some hotel points and sent her off on her own for weekend to type her little fingers off in a hotel room. Before she started writing we sat down and brainstormed a list of topics she should cover in the book and loosely formed them into an outline, creating a logical progression of thoughts. As Abby began the actual writing, she returned to the outline, fleshing it out more and more to be sure the book was organized and flowed smoothly. For the initial composition of the book, Abby wrote in a Google Drive document. This allowed for easy sharing with me, and later in the process she was able to share a read-only version of the document with her reviewers, enabling the comment function so they could leave feedback. Abby spent March and the first part of April pumping out thousands of words. 33,000 to be somewhat exact! Besides the time in the hotel, Abby committed to writing every weekday morning from 6am to 7am. Since she was still maintaining her regular blogging schedule while writing the book, this chunk of dedicated book-writing time in the morning was absolutely essential. Without it, the book probably would have gotten pushed lower and lower down the priority list and may never have come to fruition. After going through the entire writing and launch process, we found that the time we had between the date we started writing and the launch date naturally divided into two parts. Though our natural tendency was to spend all our time leading up to the launch just writing, we really pushed ourselves to have the book ready early enough to get in front of as many sets of eyes as possible. The editing and review process was absolutely crucial to pushing out a high-quality product, so we’re so glad we left enough time for that to happen. Having the book ready early also allowed us to focus in on our launch strategy and get the word out to as many people as possible. The initial draft of Building a Framework had 10 really, really long chapters. We thought that format may be a little overwhelming for readers, so we went back through the book and broke it down into sections with 28 much smaller chapters, which we definitely felt made it a more manageable read. During this phase Abby also added pictures, screenshots, and some minimal formatting. Early on we decided that it was a good idea to get as much outside feedback as possible. 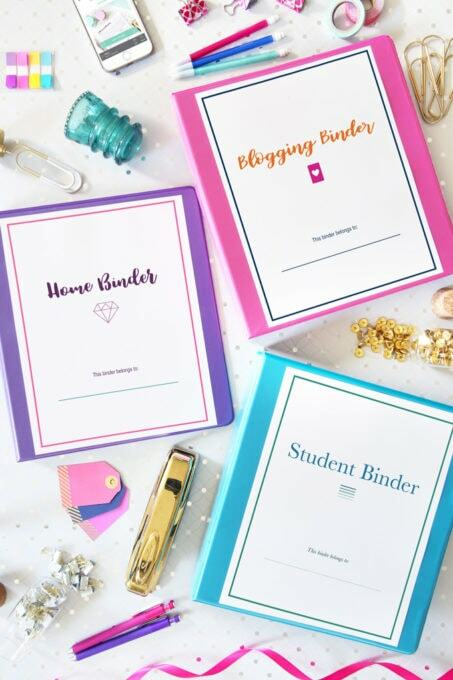 Not only that, but we also wanted to make sure it was read by varying levels of bloggers, from someone who had never done anything with blogging before to bloggers who were a few months in to people who have been blogging for several years. The book was in Google Drive and Abby was able to share the document in “read only” mode, allowing her reviewers to use the “comments” feature to give feedback or ask questions as they read. We ended up with about 15 readers in all, and we are SO thankful to them for helping the eBook become what it is today. If you search around online you’ll find lots of differing opinions on the best way to format an eBook. The most basic option is to simply use Microsoft Word and export the document as a PDF. Even though Abby is the queen of Microsoft Word, we didn’t seriously consider this option because we were worried that we wouldn’t get the truly professional look we were going for. The advanced option would have been to use Adobe InDesign. This is an expensive option with a larger learning curve. Not really what we wanted to do. We heard good things about Apple’s iBooks Author program. It’s designed to create eBooks for sale in the iBooks store, but you can also export your eBook as a PDF. 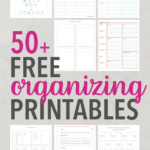 It’s a free program with some great templates, and it’s not too complicated to learn. After a day or two of struggling with the program, Abby really caught on and the interior of the book ended up looking pretty professional. This is one area that Abby and I decided we should get some outside help. Abby does some graphic design work herself, but she wasn’t confident enough in her skills to take on a professional-level cover. 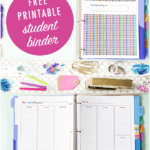 We were so thankful that Abby’s friend and fellow blogger Alison of Just Add Confetti was willing to create the awesome cover that we ended up with. After Abby communicated her vision for the cover to Alison, Alison took that vision and truly turned it into something even better than we could have ever imagined. Here are the three designs Allison came up with. Abby chose the third option. The eBook cover is extremely important to us. It needed to stand out, look professional, and be memorable. 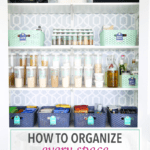 This was an image that would later be plastered all over Abby’s blog, so we wanted to make sure it matched the color and styling of the rest of her blog elements. Alison totally nailed the design! Another tedious task that we completed as part of the editing process was to add in the many, many links to webpages Abby references in the book. We didn’t just copy and paste the web address in for a lot of them, though. If you’ve read Abby’s eBook you’ll notice an asterisk next to many links for products or services that Abby uses. These are clickable affiliate links within the body of the eBook. In the past I’ve seen links within the body of an eBook as direct affiliate links. We were concerned, though, that our affiliate links could change in the future and we would have copies of our eBook floating around out on the internet with links that no longer work. The best way we have found to avoid this problem was to use Pretty Link. Pretty Link is a simple WordPress plugin that enabled us to create nice, short, pretty links and then control their destination. For example, in the eBook Abby talks about how much she loves her Restored 316 WordPress Theme built on Genesis. She created a pretty link like https://justagirlandherblog.com/316 and forwarded that link to the final destination of https://www.shareasale.com/r.cfm?b=583449&u….. Now if for whatever reason the destination link changes, we can simply update the pretty link from within WordPress. In addition to having this control over the possibility of links changing in the future, they just look better. Abby couldn’t just drop the bomb on her readers that she had written this eBook and expect them to buy it; it was important to build up some anticipation for the eBook’s launch. 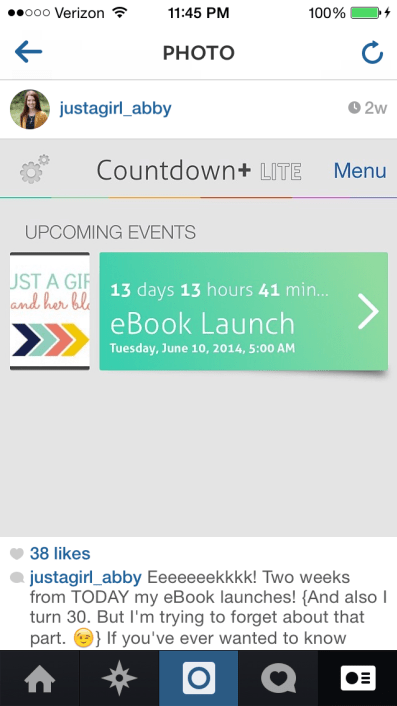 About a month before the launch, Abby kicked her promotion of the upcoming book into high gear. Abby made it a point to post pictures on Instagram and Facebook when she was squirreled away writing the book. She emailed her MailChimp list multiple times leading up to the book. She involved her private Facebook blogging group by asking their thoughts and opinions on various aspects of the book. About a week before the launch she sent a sample chapter to her email list. 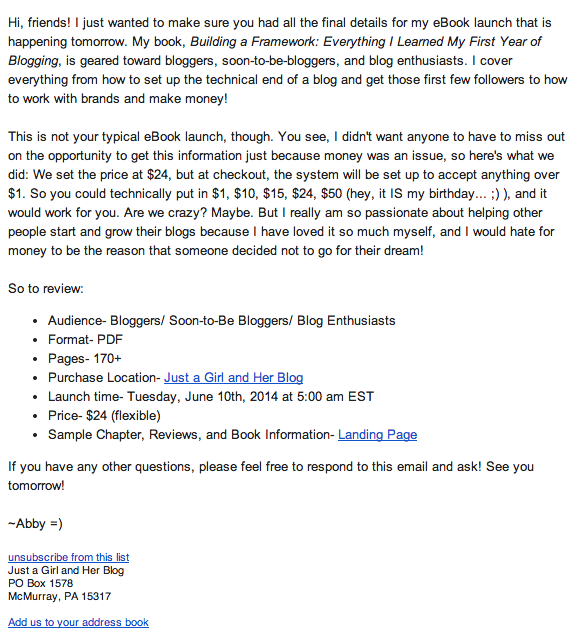 Basically, if you were following Abby’s blog at all you would clearly know that on June 10th Abby was launching her book. She created some buzz and build-up. I haven’t counted, but I would guess that in the month of May Abby probably mentioned some aspect of her eBook on her blog, social media, or her email list at least 25 times. This was SO crucial. We wanted our audience to get excited for the release of the book and for it to feel like a big event! 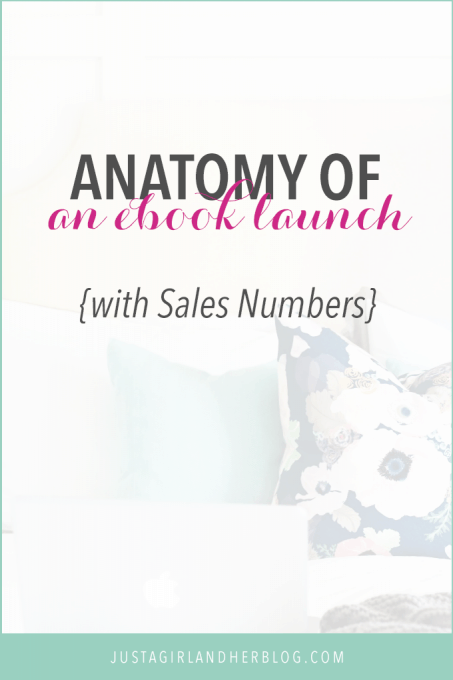 eBook Pricing, Launch Details, and a GIVEAWAY!!! None of this build-up happened by accident. Abby and I created a Google Drive document with a timeline of all the various launch events, including every time she would mention something related to her book or email her list. Now as we progressed the exact timeline evolved, but it was still helpful to realize the importance of thinking through a launch sequence. This was the most important email we sent. The day before the launch we had to prepare our audience with every possible detail. We wanted to make sure they knew when it was launching, what landing page to go to when it launches, what the pricing details were going to be, etc. Our goal was to answer all of their questions ahead of time so that on the morning of the launch they had no more questions and were ready to buy. We’re certainly not the first ones to try this type of pricing strategy, but it’s definitely not something you see every day! I first learned about Pay What You Want Pricing from this blog post by Tom Morkes, and I was so intrigued by it. One of the goals Abby had was to get her eBook into the hands of as many people as possible, and we thought PWYW pricing was the perfect way to do this. Another advantage of this pricing strategy is that we didn’t have to fret over the price of the book. I think a lot of people worry about pricing their book too high or too low; with this strategy the purchaser gets to decide what it’s worth. Now there certainly are some risks with this pricing strategy, and it doesn’t make sense in all cases. I think positioning is important here. On the sales page Abby specifically mentions that the book is $24 but if that doesn’t work for someone, they can feel free to adjust the price. We anchored the price at $24 in the minds of her readers. If we just used a PWYW pricing model without anchoring the price to $24, I think we would’ve had many more $1 purchases. The key here was to make it clear what we valued the book at ($24) but then let purchasers know it’s ok to adjust the price to something that suits them better. You can see average prices paid in the numbers section below, but I think this strategy only works when the value placed on the product is relatively low. If Abby was selling a course that included videos and we valued the product at $99, I don’t think we’d do as well with the PWYW pricing model. We knew that we would sell more copies of the book using PWYW but that the average price paid would be lower. The problem is that we’ll never know what would’ve happened if we used a fixed $24 price. 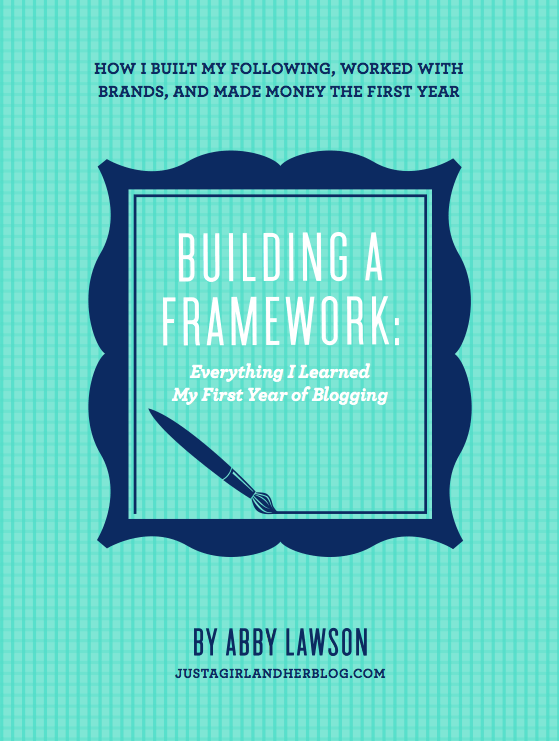 Business models and statistics aside, though, the biggest reason that we decided to go with the PWYW model was that Abby felt so strongly that anyone with the desire to start or grow a blog shouldn’t be held back by the price of the book. She had seen first hand what a positive experience blogging could be, and she wanted to be able to share that experience with as many people as possible regardless of what they could afford to pay. 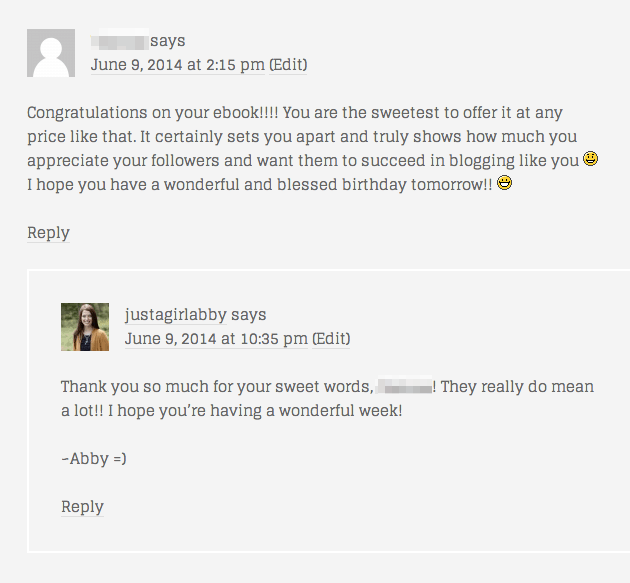 Those are just a few of the many comments Abby received regarding her pricing strategy. She also received a few very personal and touching emails that we cannot share here. We used Gumroad as our payment processor and we were and are still thrilled with how easy it is to use. It’s the system that allowed us to use PWYW pricing. It’s honestly dead-simple and much more elegant than using PayPal or e-junkie. It just looks nice. When Abby launches her next product, we will certainly use Gumroad again. 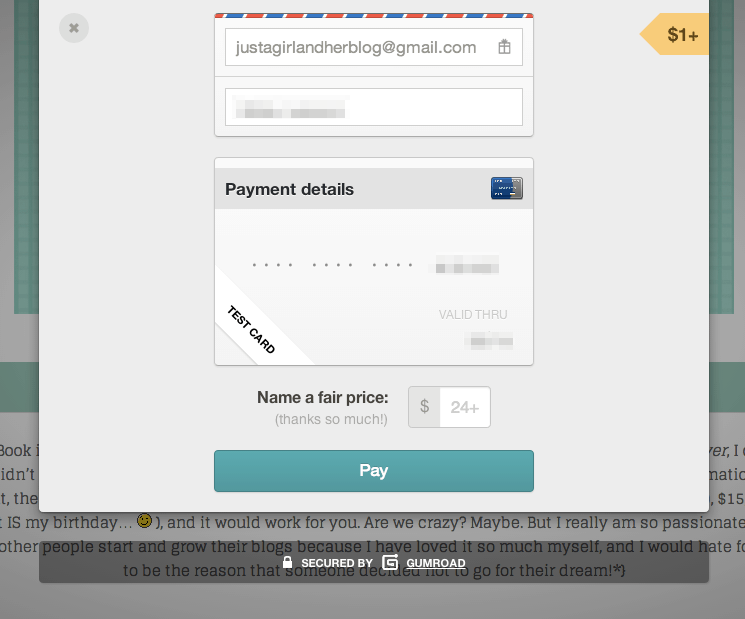 Look how nice Gumroad’s payment page looks! 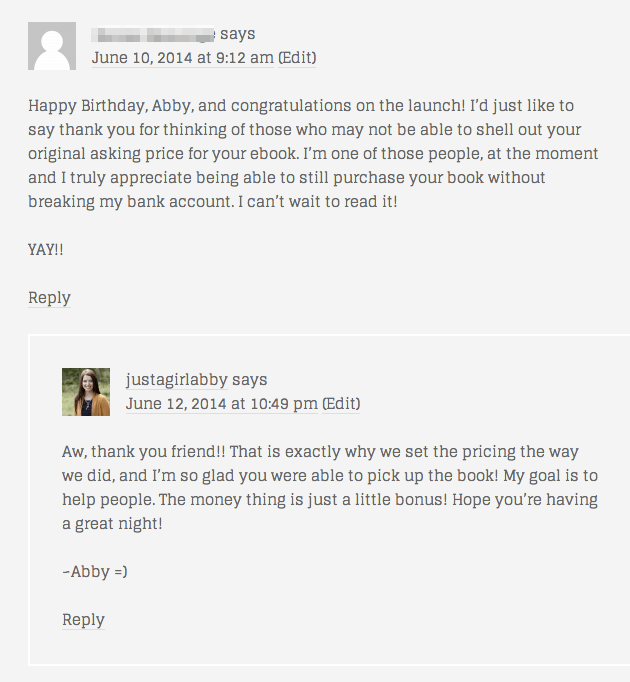 Part of Abby’s launch strategy included guest posts going live the day of the book launch. 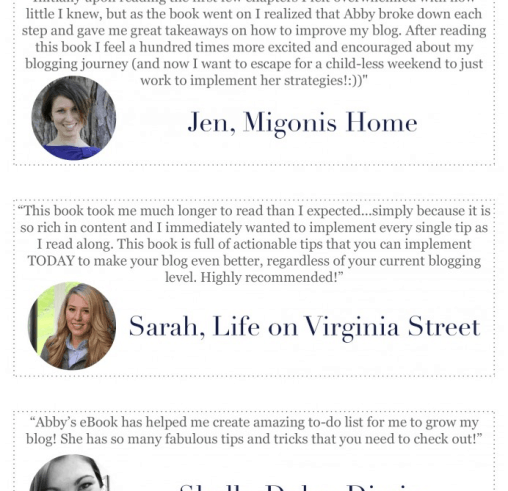 Several of her friends were willing to allow Abby to take over their blog space with guest posts that day while others wrote reviews of the book to help with promotion as well. 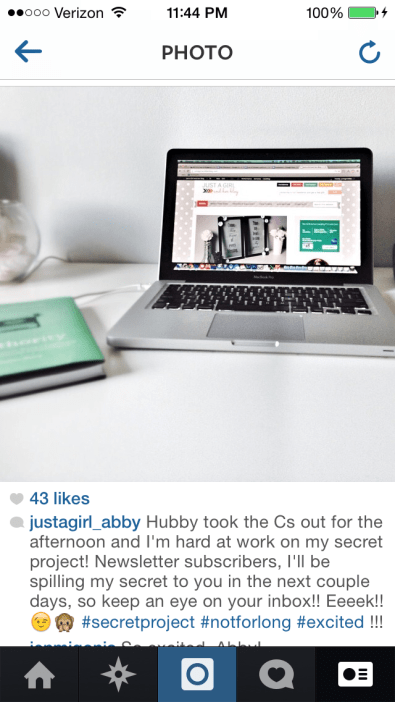 This proved yet again something that Abby talked about over and over in Building a Framework: building connections with other bloggers is SO important! 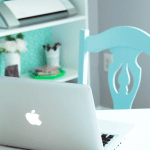 Abby had all of her guest posts written more than a week in advance, and she put a lot of time and thought into what she wrote. 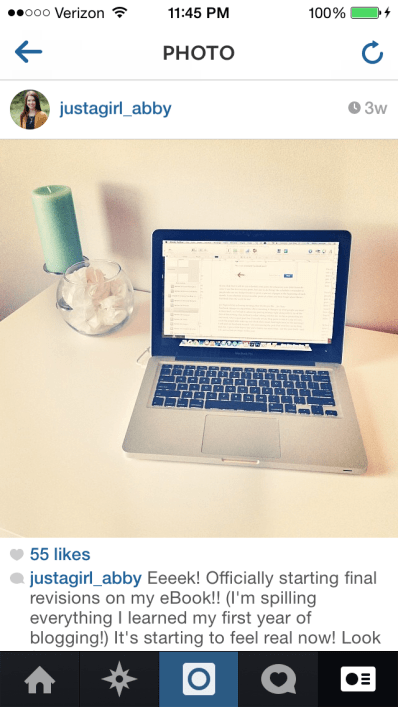 She wanted to make sure she wrote something that would benefit her host bloggers’ readers. 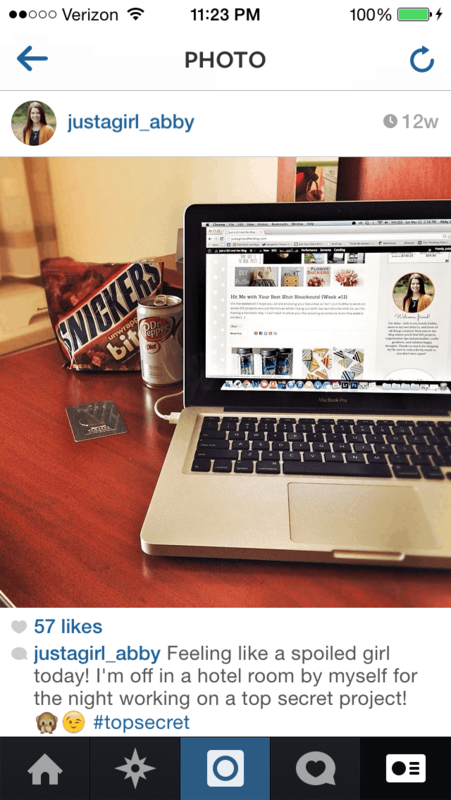 Since her eBook is about blogging, obviously her guest posts would touch on some aspect of that. 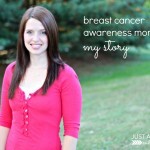 A strategy that worked really was for Abby to write about a topic she has learned a lot about from the particular blogger for whom she was guest posting. 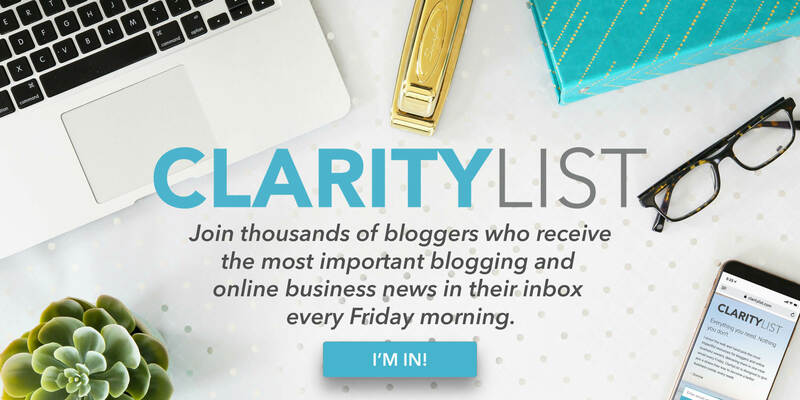 By pointing out their strengths and giving examples, it helped those bloggers’ readers see the concepts more clearly, AND the hosting blogger gets some positive shout-outs– win-win! These guest posts were a great way to build additional buzz on launch day. Maybe one of Abby’s readers read her post the morning of launch but weren’t sure if they wanted to buy just yet. Later that day, the same reader may have read one of Abby’s guest posts, and after seeing her message in several places, decided to make the purchase. Abby really tried to be everywhere the day of her launch in order to reach as many people as possible. About a week and a half before the launch Abby and I started working on her landing page. This was more challenging than we thought it would be. Fortunately Abby’s Restored 316 WordPress Theme has a “landing page” template we could use. The problem was that it initially didn’t display as a clean blank sheet. We had to mess with the CSS to disallow ads and footer widgets on the landing page. Once we had a clean sheet Abby went to work writing the sales copy. Many eBook authors may underestimate the importance of the landing page, but I think it’s absolutely crucial to the book’s success. Our goal was for our landing page to be clean, simple, and distraction-free. 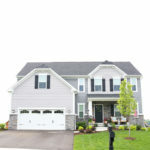 We wanted it to be visually appealing and answer any possible questions visitors may have. We personalized the landing page by using a picture of Abby blogging as one of the first images. People want to see who they’re buying from! It’s easy to get narcissistic on landing page so we constantly asked ourselves, “What’s in it for the reader? 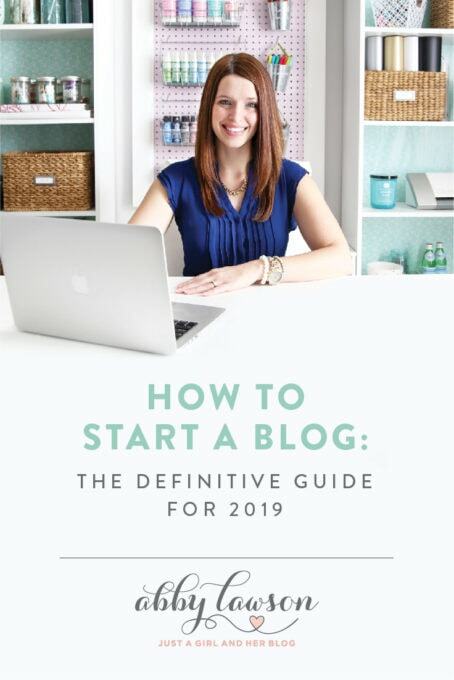 How are they benefitting?” That’s why we decided to start off with the bold headline “Get Ready to Grow Your Blog” followed by a dramatic picture of the cover the book. The goal was to get the reader to keep scrolling and read about what they will get if they purchase. Abby prominently displayed the Table of Contents to make sure a potential purchaser understood how many topics were covered in the book. We stole Brennan Dunn’s idea and even embedded a sample chapter using Slideshare right on the landing page. Minimalist Baker’s 31 Day Meal Plan landing page was the inspiration for the prominent full-width buttons. I was able to make those in the style.css file. It took me a good few hours to fumble my way through that but it wasn’t too bad. For a good coder it would a 5 minute job. That I am not. 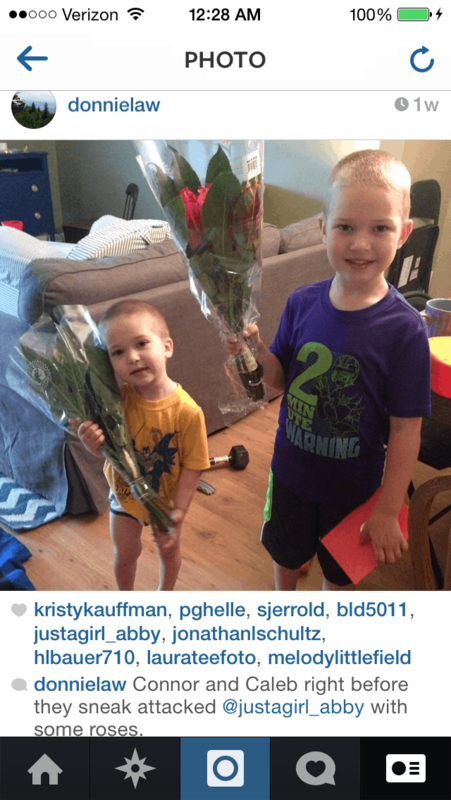 For social proof Abby used 10 testimonials on her landing page. That’s more than I have ever seen before! 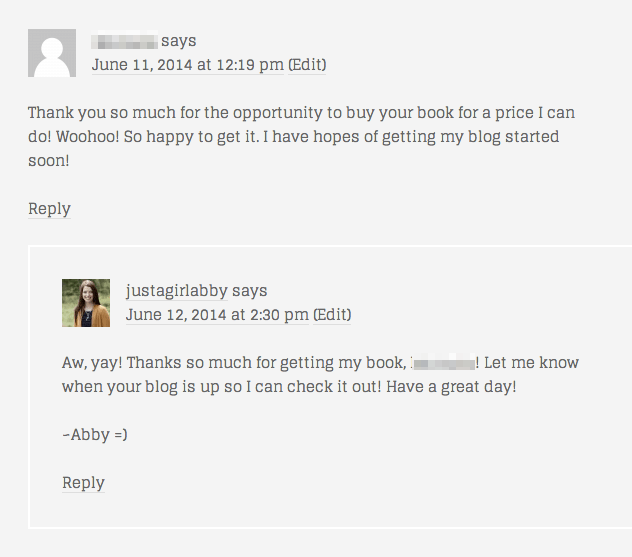 Abby just asked all of her blogging friends who had helped review her book for a little blurb. We figured that the more testimonials, the better Abby’s credibility would be. I guess at some point there could be too many, but we thought 10 was a good number. Launch day was also Abby’s 30th birthday, so I made sure we celebrated that in the midst of all the eBook craziness! I have to say that I was incredibly un-productive on launch day. I would refresh the Gumroad dashboard every 10 minutes to check for new sales. It was exciting that after months of planning the day was here and people were buying. Abby, on the other hand, was incredibly productive on launch day. She had prepared a spreadsheet with two lists of bloggers. The first list was made up of bloggers she had connected with during her time blogging. She sent these 50 bloggers personal emails asking for their help with promotion on the day of the launch. The second list was made up of bloggers who were mentioned in the book. Abby also wrote a personal email to each of these bloggers explaining her project and telling them why and where they were mentioned. Along with allowing Abby the opportunity to say “thank you” to some of her blogging friends for their support, she also was able to continue to build buzz and maybe even get some tweets, pins, and Facebook likes out of the emails. Many of the people responded to the emails with words of encouragement and excitement about the launch, so Abby was busy responding to those messages as well. It was a crazy day! Gumroad stores email addresses but they aren’t very useable in that form. We setup an integration with Zapier to send the email addresses of those who purchased the book to a list in Mailchimp called “Purchased Framework eBook.” This gives us a lot of flexibility moving forward. Maybe Abby will update the book in a year and she’ll want to send an email only to the people who purchased her book and not her entire Mailchimp list. I’m sure you can think of a million other reasons why it makes sense to have the eBook purchasers in Mailchimp. The weekend before launch Abby and I stayed a couple nights at a hotel while the kids were at “cousins’ camp” with their grandparents. 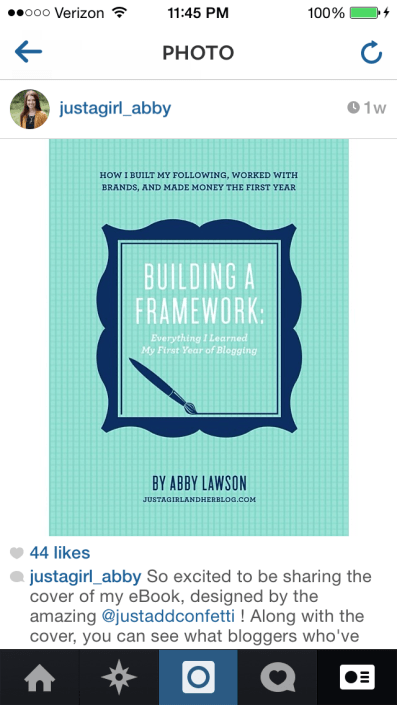 During this time Abby setup an email autoresponder the send to her “Purchased Framework eBook” list 3 and 14 days after buying. We ended up changing the days but the idea is still the same. It’s an automatic email that Abby can use to touch base with everyone who purchased her book after they’d had some time to read. The email would also ask if they had any questions and point them to a few resources on Abby’s blog related to blogging This gives us a lot of flexibility moving forward– maybe Abby will update the book in a year and she’ll want to send an email only to the people who purchased her book and not her entire MailChimp list. Once setup this is all 100% automatic. 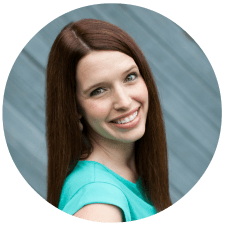 It increases engagement and also drives people to pages on Abby’s site with numerous affiliate links and products and services that Abby recommends. Again, I will analyze these numbers in the June income report. By that time I will have even more data. I do want to say that Abby and I are thrilled with the results so far. We are so thankful to everyone who purchased the book. We honestly can’t say thank you enough. Abby and I have been brainstorming about how we can continue to keep sales rolling in and provide value for people who have already purchased the book. There are few resources in the works and email series that we have yet to setup. Make sure you check back to this blog over the next few weeks and months to hear more about these strategies. Writing this eBook was more work than we could have ever anticipated. It still amazes me how Abby can sit down and write so much and so well. She is amazing. 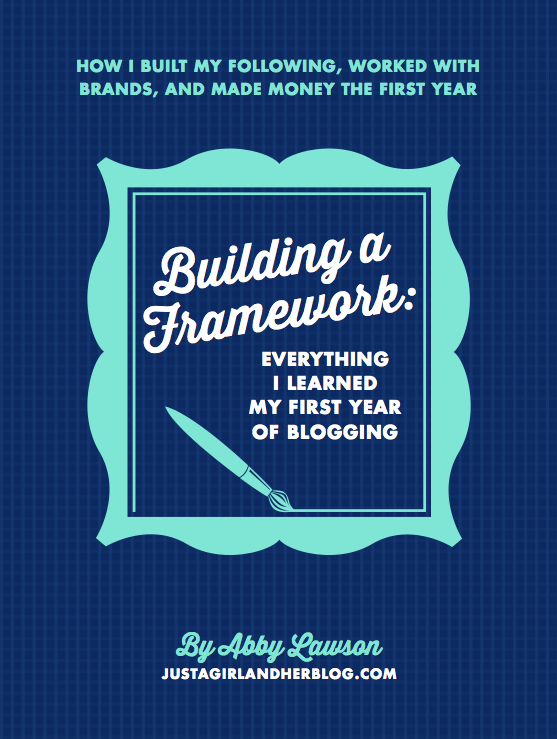 At the end of the day, we view this eBook as a significant milestone for Abby’s blog. Ad revenue and affiliate income is great, but this is the first product that Abby created and sold. It’s a great feeling and we know it’s just a pre-cursor to even greater things to come! Thank you, Thank you, Thank you for creating this amazing eBook “Building Framework.” I have since read your book many times and created a blog. It is still very new and I’m slowly figuring a few things out. I have some ideas for when you revise and update your book. I have literally used your book to step me through each part. I just figured out that typing everything in word it key. Ooops! Otherwise my subscribers would get a new email every time I made a change or added something. He he he! I have been meaning to just tell you how things are going but, well life is busy. I am working full time, tutoring one day a week, playing with my sweet daughter as often as I can, and being a wife. Yikes, oh and trying to sleep. Please continue the encouragements. I have mentioned your web site in my blog and will be raving about your book. I just need to find the post you wrote and get it up on mine. One more thing I soooo appreciate your honesty with starting a blog, your traffic reports, and income from blogging. I am huge fan. Thank you for writing such an indepth post about your process I am currently considering writing an ebook and wondered how much harder it was then I first thought. I’m so glad that it was such a success in 1 week that is awesome! I hope to do as well if I decide to write one. Thank you again for the guide. This is SUCH a valuable resource for those of us thinking about completing an ebook in the future, thank you so much for sharing the ins and outs of the launch with us! I knew there was much more to it than just writing but it’s difficult to know the intricacies without having done it already. Definitely pinning this for later! Great blog post on an e-book launch. You mention using I-Books Author, to format, and it would allow for a PDF output. 1. Is that PDF output suitable for uploading to Amazon and Kindle? 2. Do you sell your book as a PDF, and if so, aren’t you afraid of it being shared, and therefore losing potential sales? (Sorry if that’s a dumb question). A PDF file is not suitable for uploading to Amazon and the Kindle Store. It must first be converted to a .mobi file and it will lose a lot of the pretty formatting capabilities available with a PDF file. That, and a perceived lower value of items in the Kindle store is why we have not pursued that route to this point. We do sell the book as a PDF. We aren’t particularly worried about people sharing. Of course we hope they don’t, that’s not right, but we don’t lose sleep over the possibility. If that’s a worry, there are ways to automatically “stamp” the PDF file with the purchasers name and email address in the hopes that they would not share it. But even with that strategy, there are easy ways around it. Thank you so much for giving such a detailed description of the entire ebook process, all the way from planning it out to promoting it! I just started my own blog and your post has given me the courage to try and write my own ebook this summer (fingers crossed!) I just wanted to leave you a little note to let you know how much I truly do appreciate all of the tips that you are willing to share with us new bloggers… Thank you for all that you do! This is such an informative post. Thanks for sharing your whole process in such detail. I was wondering why you changed the eBook cover? Hi, Lori! Great question. We relaunched the eBook this year with additional content and video options, so we created a new cover so people could easily differentiate between the two versions. I hope this makes sense! Hope you have a wonderful weekend! Thank you so much for your article(s)! I’m participating in the Gumroad Small Product Lab (10 days from Zero to Launch). My Small Product is an eBook set “5 Simple Steps to Getting Started with Word Art”. Best of luck with your launch, Maria!! 1. 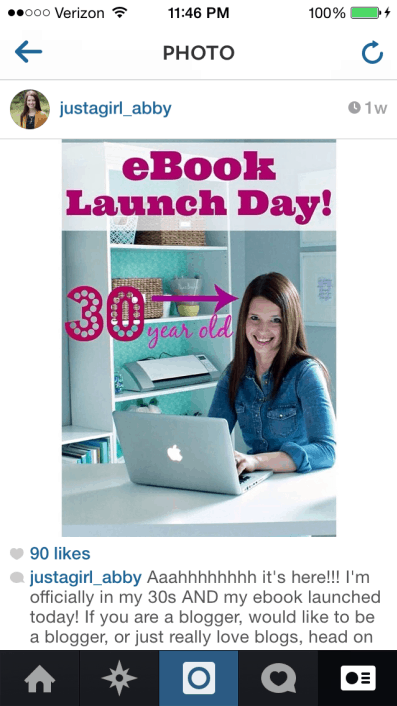 If you are just launching a new website, when do you recommend offering an ebook? Would you use it right off the bat to draw in readership/subscribers or would you wait to grow your page views/email subscribers? 2. Beyond what you have already outsourced, is there anything you recommend outsourcing? Anything you wish you could outsource but haven’t? Abby & Donnie, thank you so much for sharing so much awesome information for free. I’ve come back and referenced this post a million times, I can’t thank you enough! Thank you so much for your sweet note! So glad the post has been helpful! Hope you’re having a wonderful week!